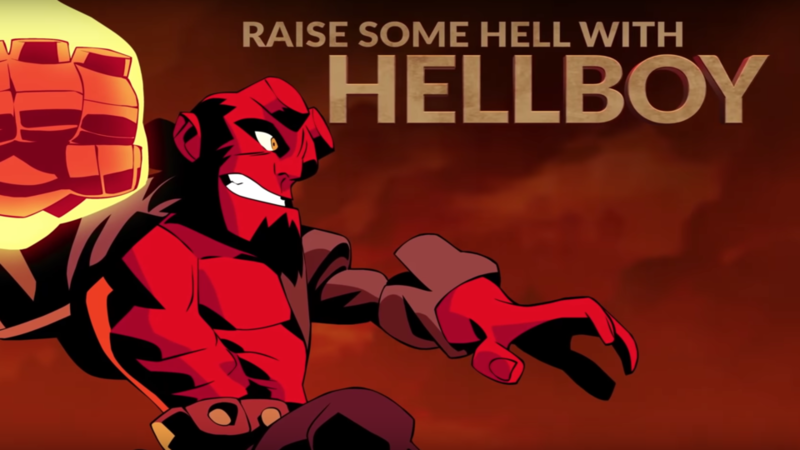 We already knew Hellboy would be bringing some of his demonic friends (and enemies) to Brawlhalla, but now more details on the hellish crossover have emerged. We now have official confirmation that each character will be a skin for a specific Brawlhalla fighter. But that’s not the only Hellboy fun coming to Brawlhalla, as there will be a full-on crossover event to promote the upcoming Hellboy movie! The event starts on April 10, 2019, and continues until April 24th. It was previously announced that Hellboy, Nimue, Gruagach, and Daimio would all be coming to Brawlhalla. Cross can dress up as Hellboy, while Dusk and Mordex can wear the Nimue and Daimio skins, respectively. All three will cost 300 Mammoth coins each. Terros can fight as Gruagach, and that skin will cost 240 Mammoth coins. These skins will still be available after the Hellboy event concludes. The crossover event will bring more than skins, though. It will be a full-on Hellboy takeover in Brawlhalla when the celebration kicks off. There will be a brand-new Hellboy-themed Horde mode. In it, players will have to defend the Great Hall from an array of demons. Like other Horde modes you’ll have to fight against waves upon waves of enemies. While Horde Mode will be introduced with the Hellboy event, it will remain once the event ends. This Hellboy tie-in is only the latest content update to come to Brawlhalla. There’s a reason we called it one of the best free-to-play games on the PlayStation 4, after all. The Hellboy skins join Shovel Knight as the latest third-party characters to cross-over into the 2D platform-based fighter. With new owner Ubisoft, it has seen even more updates, like the addition of Rayman himself to the roster. Brawlhalla is available now for the PlayStation 4, Xbox One, Nintendo Switch, and PC.